The festival was a full-on weekend, with so many talks and discussion panels that it was genuinely difficult to get time to eat. It took place in several marquees in the grounds of Severn End in Hanley Castle and the excellent coffee van and crepe van kept a few of us going through the weekend. Having to travel from the Isle of Man meant that I missed most of the first day although having attended this year, I am going to make sure that next year I’m able to be there for the full event. I arrived in time to hear Sir Max Hastings’ talk on Vietnam which was excellent. Vietnam is one of those conflicts, like the Northern Ireland troubles, which was part of the backdrop to my childhood. My parents were daily news watchers and allowed us to watch with them from a very early age so I always knew about the war although I never learned about the causes until I reached university in the early eighties. I genuinely want to read this book. On the following day I attended panels on the English Civil Wars and 1815-1914 – A Century of Peace? Contrasting talks were given by Nicholas Shakespeare on how Churchill unexpectedly became Prime Minister and Andrew Roberts on Churchill: walking with destiny. I was sorry that the evening concert had to be cancelled but I thoroughly enjoyed the speakers’ reception which gave an opportunity to meet people informally. 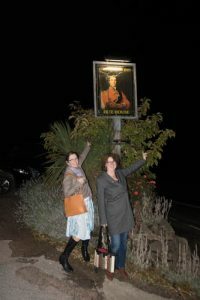 I’m indebted to my husband for managing to find a very suitable pub for dinner afterwards; the Wellington Inn. Jacqueline Reiter and I were so excited that I’m surprised they let us in, they probably thought we were lunatics, but I’m glad they did, the food was excellent. Sunday was they day very much dedicated to the period I write about and I enjoyed every single one of the talks on that day. Adam Zamoyski on Napoleon was interesting and I enjoyed his exchange of views with Charles Esdaile. Probably my favourite panel was the one on Waterloo ably chaired by Robert Pocock. 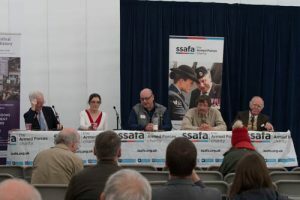 Charles Esdaile, Jacqueline Reiter, John Hussey and Alan Forrest discussed a number of questions covering both the military and political aspects of the battle and an alarming number of books have been added to my ‘to read’ list. My own panel was the last of the day, consisting of myself along with Adrian Goldsworthy, Tom Williams, David Donachie and Iain Gale, all fantastic authors. 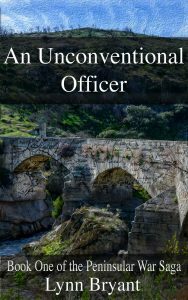 David was a great chair, and we talked about some of the challenges of creating believable historical fiction at the same time as spinning a story that readers will enjoy. I loved it and would have been happy to sit down afterwards to carry on the discussion. The last talk was given by Lord Ashdown about his book “Nein! Standing up to Hitler 1935-44” which blows away the commonly held belief that there was little resistance to Hitler among his own people. It was a story of lost opportunities which led to tragedy and I bought that one on the day. In the outer marquee were book stalls, an exhibition of war art and a variety of information stands and endless opportunities to talk. I spent most of the weekend talking and listening; it isn’t often I get the chance to spend time with a group of people who are just as passionate about history as I am and I loved every minute of it. There are probably one or two things to be learned for next year. Food was genuinely a bit of a problem; the programme was very intensive and it was difficult to leave to get food. This was fine on the first day where there seemed to be a variety of food stands but on the Saturday and Sunday there was only the crepe van, who heroically fed the entire event. 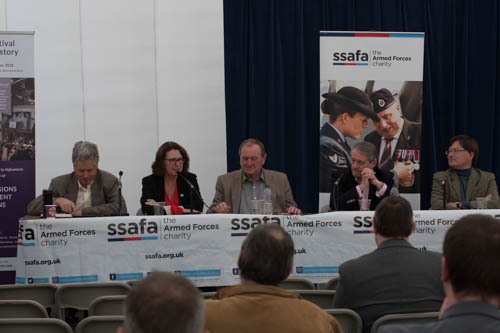 I suspect the weather, which was cold, and on Saturday very wet, kept them away but I wonder if it caused some people to leave to get lunch and perhaps not to come back or to miss some of the talks because of it. It was a pity that the two evening concerts were not a success. I wasn’t able to get to the first one as it coincided with Richard’s train arriving and I had to pick him up, but I gather it was so poorly attended that the second one, on the Saturday, was cancelled. This was a real shame but I suspect it was a combination of the cold, wet weather and the problem of food once again; once people leave a venue to find dinner it is hard to get them back again. I’m hoping that it doesn’t put the organisers off the idea of the evening concerts, I think it’s a great one, it’s just the timing that needs looking at. None of these minor blips detracted from my enjoyment of the event. The speakers were excellent, the discussions lively and everybody I met was friendly. I had been a bit concerned that my mathematician husband would be bored but he had a great time and is definitely keen to come back next year. I met so many great people it’s impossible to list them all although a few stood out. Carl and Gail Christie (who travelled all the way from Canada for the event), Charles Esdaile, Sinead Allen, Robert Pocock, Andrew Lacey (a fellow undergraduate with me back in the early eighties), Ian Blance (whose organisational skills are astonishing) all the great writers on my panel but especially Tom Williams (read his books, they’re awesome) and of course Jacqueline Reiter. Thanks to everybody we met for being friendly, welcoming and really interesting. In the end, it’s the people who make events like this such a success. I sincerely hope that the Malvern Festival of Military History goes from strength to strength. I intend to be a regular visitor and want to extend my thanks and congratulations to Ian Blance and Enlightenment Events for a marvellous weekend. Well done. Next month I am very proud to be a part of the Malvern Festival of Military History which takes place from 5-7 October. 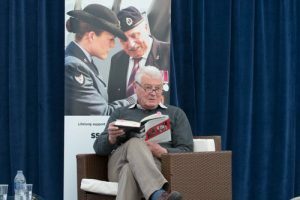 The festival sees a host of top writers in the field of military history visit Malvern for the Festival of Military History. 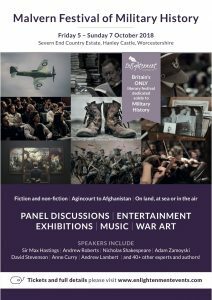 Taking place in the grounds of Severn End, Hanley Castle, this is Britain’s only literary festival dedicated solely to military history. It looks at fiction and non-fiction, ranging from Agincourt to modern day Afghanistan, and covering warfare on land, at sea and in the air. 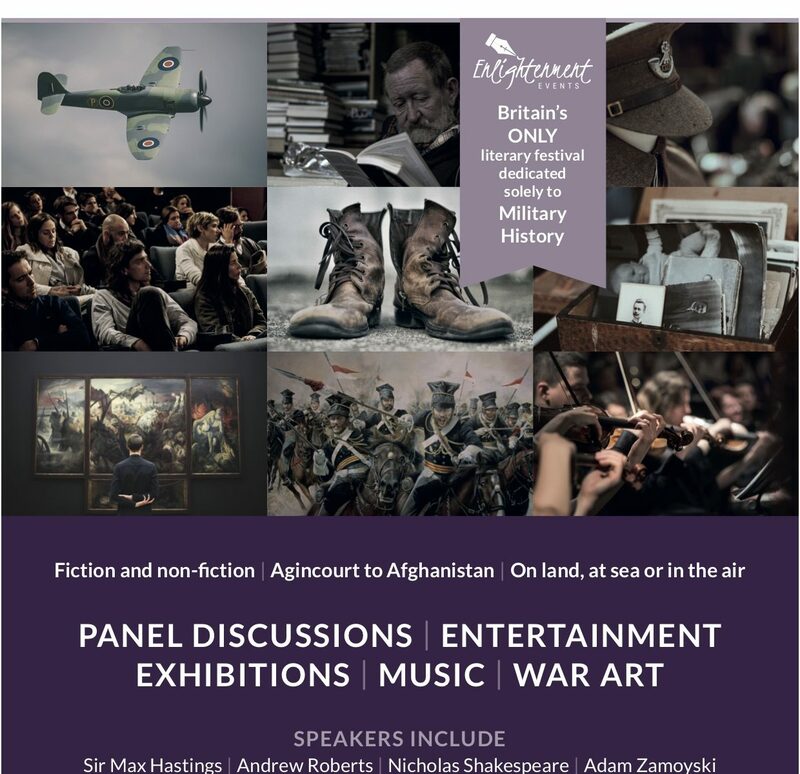 Top speakers include Lord Paddy Ashdown on Hitler, Sir Max Hastings on Vietnam, Damien Lewis on The SAS, Nicholas Shakespeare and Andrew Roberts on Churchill and Adam Zamoyski on Napoleon. 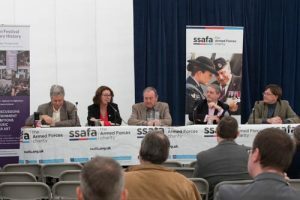 Top military historians in their fields also debate key issues in important battles and wars through the ages in a series of panels. These include Agincourt, The English Civil Wars, The Royal Navy, Waterloo, 19th Century Colonial Wars, World War One, World War Two and Post-1945 wars and insurgencies. I will be part of a panel of novelists discussing the challenges of writing fiction based on historical events and characters. On the panel alongside me will be Adrian Goldsworthy, Tom Williams, David Donachie and Iain Gale, all fantastic authors. All the talks and panels will be followed by book signings and an opportunity for the audience to interact with the authors. This top-class literary entertainment is supplemented by an exhibition of war art in the Festival exhibit hall. Attendees can browse these during breaks in the programme and while taking their refreshment from the range of food and drink outlets. The evenings see the attention turn to musical entertainment. On Friday night the New Scorpion Band perform a set of traditional folk tunes from the 18th and 19th Century. Familiar songs such as Spanish Ladies and Over the Hills and Far Away will get your feet tapping! Saturday is the turn of the RAFA Concert Orchestra who will play a selection of war movie themes including The Dam Busters, The Great Escape and Saving Private Ryan. This spectacular event is not to be missed by anyone interested in the history of warfare. Full details and booking options can be found here. The advanced booking discount ends on 7th September so book now for what looks to be a spectacular event. 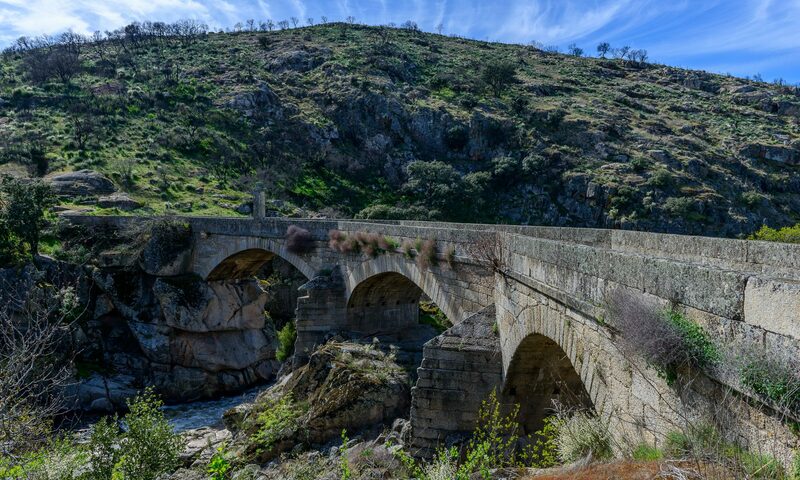 Remember to watch out for the fifth book in the Peninsular War Saga, due on 30th November. 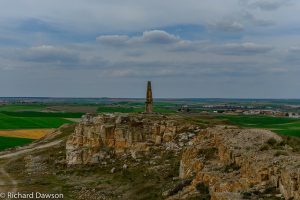 An Untrustworthy Army tells the story of the 110th during the Salamanca campaign.